IS IT MY BIRTHDAY? NO? ARE YOU SURE?? The Final Fantasy Festival has just begun and I have yet to stop fangirl squeeing all over the damn place. The FFF is your one-stop shop for everything fantasy and especially Final Fantasy themed! There are two entrances to the festival, feel free to use the WEST entrance, or the EAST entrance! They both lead to the same ultimate destination! 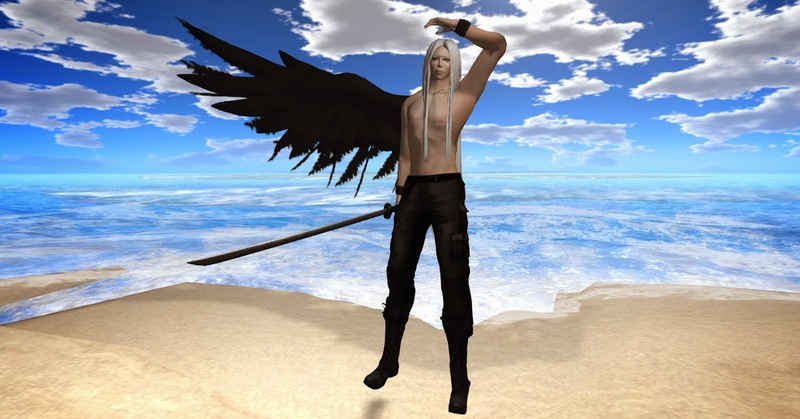 The absolutely fantabulous Sephiroth skin and shape combo is an event exclusive from Morphine, and the hair is from Ayashi. These items fit together far too well to not put them together! Lovely disarray has put out Children of Jenova eyes, perfect for Sephiroth, Kadaj, or any of Jenova’s Children… I couldn’t resist the glowing green pair… I mean, could you? While they’re not actually Final Fantasy themed, I thought the Assassin’s cuffs by Stone Baubles really complimented my outfit! 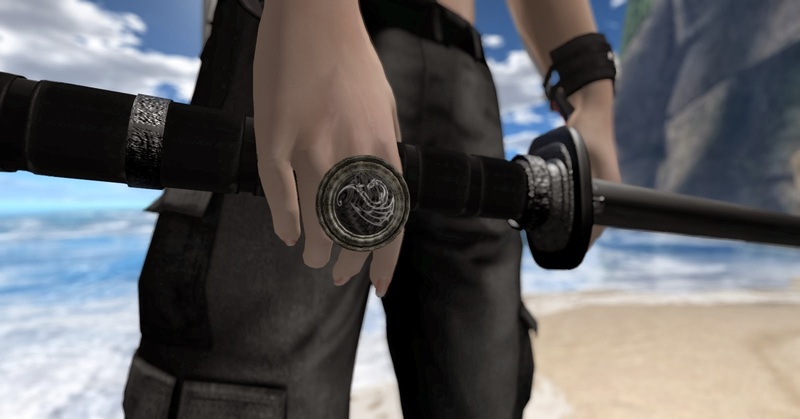 Another beautiful accent I decided to add is the Dragon sphere ring, another treasure from Stone Baubles! I ADORE these pants from R3volt! They come with a colour change HUD for the pants AND the belt, and have a TON of options! Sword: No longer available to my knowledge… Sorry! BUT WHY DON’T ALL OF THE LINKS LEAD TO THE STORES?? All FFF items listed above have links to the event location! The non-FFF items lead to the stores!